To stay competitive against larger organizations, it’s imperative that midmarket enterprises digitally transform. But with limited resources, smaller organizations face DX roadblocks – from dealing with security and compliance regulations, cost concerns, or overcoming challenges with managing a variety of legacy tools. 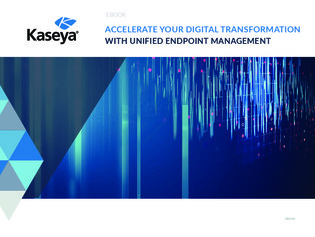 To stay competitive and accelerate your path towards digital transformation, download this e-book to see how unified endpoint management (UEM) can help overcome these challenges by combining endpoint and network management and reducing costs of licensing separate solutions.